Best used luxury cars are available at lower prices and are well maintained that offer top class luxury to its customers. Car enthusiasts do not always buy the brand new cars because of their changing preferences and social constraints. So, used cars have a huge demand in different car markets that make them very important. Luxury cars are fitted with advanced safety features, improved technologies, and high powered engines that deliver an excellent performance. Different top automobile brands are offering new luxury cars that are fitted with improved versions of above mentioned features and are available at different high prices. Luxury used vehicles provide an excellent option to customers who want to enjoy an enhanced driving experience. 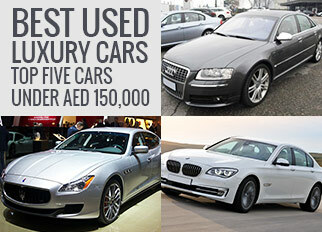 Used luxury cars are available in a large number in the car market of UAE. This article will take a keen look on four best used luxury cars that are available in the UAE market under AED 400,000. 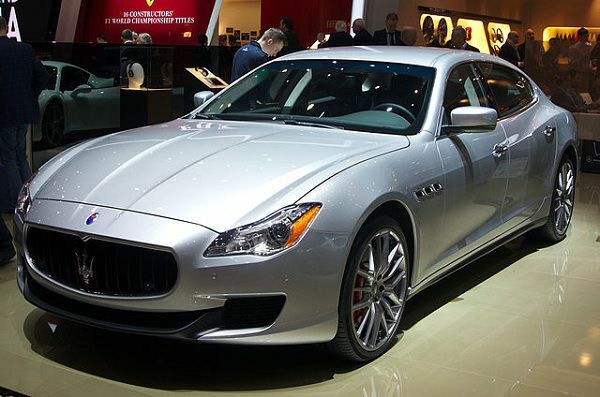 Founded in 1914, Maserati is a classy Italian automobile company that has been producing luxury cars for a long time. When talking about the best used luxury cars, Maserati Quattro Porte 2013 is a top class luxury car that has a very stylish design and an interior that offers an excellent comfort during the ride. Its exterior is aerodynamically designed with fine materials that give it a very aggressive road presence. Its long bonnet gives its front a sleek shape. Large air intakes are fitted in its front fascia that enables the smooth passage of air around its body, which deliver it an enhanced balance during the ride. With the double-wishbone front suspension and a five-link rear suspension, the Maserati Quattro Porte 2013 has achieved a 50:50 body weight distribution. LED headlamps and fog-lamps are fitted in this luxury car that provides an enhanced view of the road to the driver during the ride. Four exhaust pipe lines are fitted into its rear that provides it a top class luxury look. Its interior offer ample front and rear head-leg room that make its drive very easy for its passengers. The available leather trimmed seats provide an excellent comfort to their occupants during the ride. A three spoke steering wheel is fitted in its cabin behind that the gauges are perfectly placed that provide important information to the driver about speed and fuel-mileage. A touch-screen is fitted in the dashboard that enables the driver and passengers to control different functions, for example, multimedia, navigation system, etc. It comes with a turbo-charged 3.0-liter 6-cylinder engine paired with an eight speed automatic transmission that produces 404 horsepower and delivers 550 Nm of torque to its four wheels. It enables the car to reach 0-100 Km/h in mere 4.9 seconds at a top speed of 285 Km/h that put it into the category of the very fast top used luxury cars. It is fitted with important safety features that make its ride very safe, for example, air bags, rear view camera, etc. it is available at approximately AED 125,000 in the UAE. Since its inception in 1916, BMW has been producing top class luxury vehicles for its customers around the world. 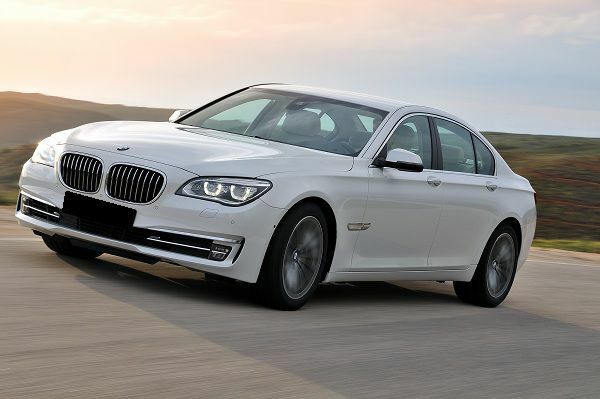 BMW 730i is a luxury car that offers an excellent performance to its customers. Its exterior is aerodynamically designed with large air intakes in its front that enables a smooth passage of air around its body. Twin-kidneys shaped grille is placed in its front fascia that explains the classic character of BMW cars. The available xenon headlamps, LED daytime running lights, and fog lamps deliver an excellent performance during the ride that makes it very safe. The available sunroof enables its passengers to enjoy a fresh breathe of air during the ride. Its interior is ergonomically designed with fine materials, which is a true example of craftsmanship. The dashboard is fitted with wooden inlays that give it an eye-catching look. 10.2-inch front touch-screen and rear seat display screens are fitted in its interior that makes the ride fun and entertaining for its passengers. The available four-zone automatic climate control system enables the front and rear passengers to set the temperature according to their desires. All these exciting features of its interior ensure its customers a top class luxury that the best luxury used cars can offer. Its 3.0-liter 6-cylinder engine is paired with an eight-speed automatic transmission that produces 258 horsepower and delivers 310 Nm of torque to its four wheels. It enables the car to reach 0-100 km/h in just 7.7 seconds on a top speed of 245 km/h that make it a very fast luxury car. The best used luxury cars come with important safety features that make their ride very safe. Similarly, BMW 730i 2014 is fitted with important safety features, for example, six airbags, anti-lock braking system, vehicle stability control, etc. This used luxury car is available at approximately AED 148,000 in the UAE. Audi is a luxury German car brand that was founded in 1909 and has been producing top class luxury vehicles for its customers around the world. 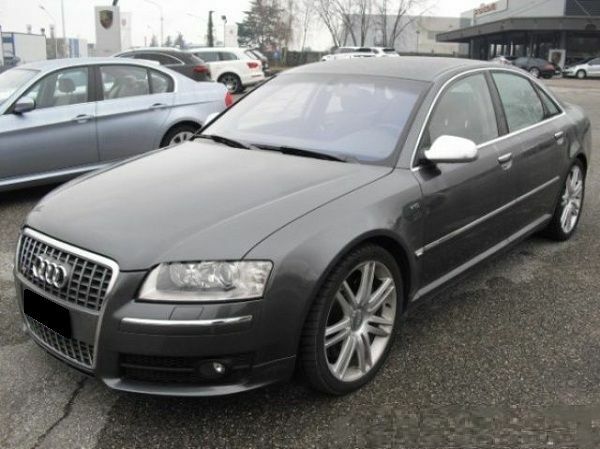 2007 Audi S8 is a car that is fitted with top class luxury features that deliver an enhanced performance. It has a very smooth exterior design that gives it an impressive road presence. The large air vents are placed in its front that explains its aerodynamic stance. The aluminium body panels give it a light weight that delivers it an enhanced performance. The available LED headlamps are integrated with adaptive light technology that provides an enhanced view of the road to the driver at night. Similarly, the LED daytime running lights and fog lamps enhance its safety during the ride. Its interior is fitted with leather trimmed seats that provide an excellent comfort to their occupants during the drive. The door arm-rests and centre console arm-rest further enhance the comfort level during the ride. The available BOSE Surround Audio System delivers an impressive all-round sound performance that makes the ride fun. It comes with a 5.2-liter 10-cylinder engine that produces 444 horsepower and delivers 540 Nm of torque to its wheels. It is paired with a six-speed automatic transmission and enables the car to reach 0-100 km/h in mere 5.5 seconds at a top speed of 250 km/h. This high performing engine of 2014 Audi S8 put it in to the category of best used luxury cars. It is fitted with important safety features that make its ride very safe, for example, electronic brake distribution, airbags, traction control, etc. This used luxury car is available at AED 50,000 approximately in the UAE. Buying the best used luxury cars have important benefits as it saves the money while offering an enhanced luxury. This article has discussed some of the best luxury used cars that are properly maintained by their owners and are capable of delivering an excellent performance. The above mentioned luxury cars are easily available in the car market of the UAE.